Idealistic young primary school teacher Margaret Hayton writes campaigning letters to her MP (fast-spinning New Labour smoothy Richard Slater) about everything from asylum seekers to dog waste. They meet, and eventually they fall in love – with more than a little trouble and confusion along the way. A mixture of romance, tragedy and farce, this is also a novel about life in Ipswich in the shadow of the sugar beet works. More Than Love Letters given the academic analysis treatment! “A classic epistolary novel… It’s all very cleverly done. The styles of letters are different enough to show the characters of the people concerned, and the story gradually builds up through the various correspondence. It’s not just a romance, although that’s a thread running through the book. There’s an examination of the problem of the homeless, particularly refugees from abroad. There’s a serious, sometimes shocking look at the long-term effects of incestuous child abuse. And there’s a lighter look at the mistakes and misunderstandings that can so easily arise in the media. It’s thought-provoking in these ways and others, without in any way preaching. It’s much better written and deeper than typical chick-lit, despite the frothy looking pastel cover to the book. With characters of all ages, it would probably appeal to most women, and perhaps even some men. It reminded me somewhat of the novels by Libby Purves, which also manage to combine a good story with some very thought-provoking issues. “I had no idea what I was getting into when I added More than Love Letters to the TBR pile except for the fact that it looked chick-litish… But in fact this story was much more than this and I had a real hard time putting it down each time I had to get back to real life. While telling their story, Thornton, in an apparently light hearted manner, approaches a lot of less light subjects and the mix of it all is what makes it so attractive and compelling. Margaret is warm hearted and caring and that really shines through in the book making you close it with a smile in your face. The whole cast of secondary characters, some funny, some tragic, combine to give the story an unexpected depth. And the author very successfully manages to convey a reality that is very British. I have just read crossed wires and I loved it. It is so original and yet familiar. I also read More than Love letters. I am going to get your other book and I am really looking forward to it. I am an avid reader and so many books are the same these days, so I was delighted to come across yours. Can’t wait for the next one. I just finished reading More Than Love Letters last night and I love it. I like the British wit and humour. The characters are nice too. It’s pure fantasy, and I wish there are more real men like Richard Slater. You must get more men to read your books. I’ve also just finished reading More Than Love Letters. I really enjoyed it. I have just opened my latest Books Direct magazine and seen details of your new book The Tapestry of Love, can now not wait to purhase it. 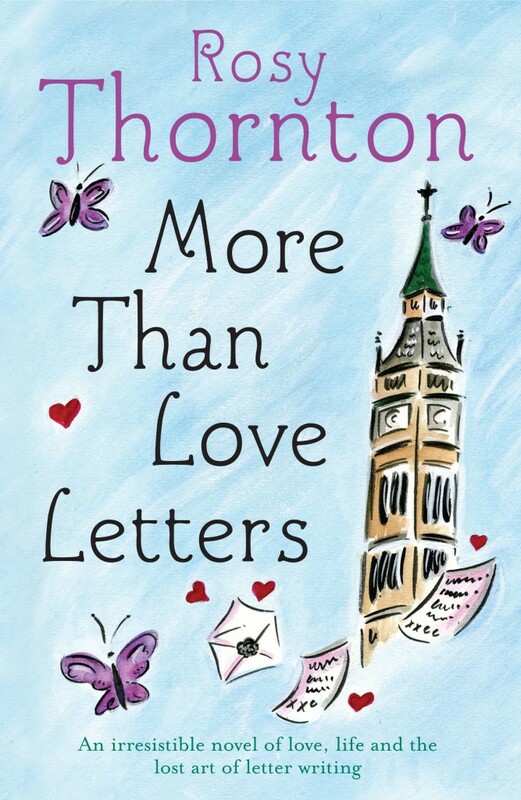 Having read Love Letters and Crossed Wires which are both brilliant, funny,warm and with characters so real and down to earth it made a pleasure to read and some late nights where I just had to finish that chapter! More than Love Letters is one of my all time fav novels. I’ve rated it 5 out of 5 on amazon, waterstones and on my blog! Thanks for a brill read.